that can be of great help to you. Axle position is a consideration as you build a trailer. distribution for your Teardrop trailer build. go to facilitate, tongue weight, fender position and door opening issues. in the middle at 37.5%! a light galley and intend to fit a heavy tongue box." Where should the axle be put on my trailer? 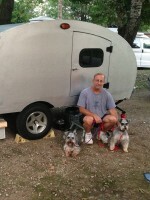 Click here to see pictures and read how to modify your new trailer by moving the axle back. axle is relocated to accommodate weight considerations. a bow in it"See the slight bowed axle here, so you know what you are looking for. When all is said and done, in planning and trailer finished, Visualize a level trailer as it attaches to your Tow Vehicle (TV). construction and you most assuredly will be happier down the road. better while on the road. What will you use to seal the bottom of your trailer? & or consider repacking wheel bearings before first use. ... click here to see what Andrew suggests? New builders of tiny trailers often ask what size trailer should I use? 1 The Tractor Supply Co.
gate are not needed and don't have to be installed. Red trailer Model SJ-8512 ...5' x 8' Trailer with 12"
Tires it is a Folding trailer $439.00 solution Max Load Capacity - 1185 lbs. Red Trailer has a few hubs for size tires. (Click on image and find it 4" from the bottom of the main Red Trailer page. The Tractor Supply Co. 4x8 Maybe other sizes too (Call for quotes). call for quotes on sizes and availability. 5 lug 4.5 center wheels, lights, wired, safety chains, assembled & ready to go. hint at trouble getting quotes or the right person to help you. Read the threads below please before you buy. California DMV Permanent Trailer Identification (PTI)= goal for Registration of your trailer in California. Question: How do I register my RedTrailer? Answer: When you receive your RedTrailer Kit, the Manufacturer's Certificate of Origin will be included in a brown envelope, taped inside the section of the box marked "OFFICIAL DOCUMENT ENCLOSED." Registration procedures for kit trailers vary widely, because they are regulated by state and local governments (a few states do not require registration at all), so please be sure to check with your local authorities. Some states require a notarized signature on the Manufacturer's Certificate of Origin. If this is the case in your state, simply mail the certificate to RedTrailers.com, Inc., 300 Commerce Blvd., Quakertown, PA 18951. We'll get it notarized and return it to you as soon as possible. Question: I lost the Manufacturer's Certificate of Origin that came with my trailer. Can you send me a replacement? Answer: Yes, but there is a $25.00 fee for issuing another certificate. We'll need to know the model number of your trailer, and its 17-digit serial number. What states allow double towing? NOTE: (California) No passenger vehicle regardless of weight, may tow more than one vehicle. See here for a more clear explanation of Commercial endorsement for double tow in California. The bolt pattern for Tow V or bolt circle proper measuring methods. Vehicle Bolt Pattern & Offset Reference. The bolt pattern for trailer tires thread. for your trailers. These numbers may need revising. wise counsel to check & or consider repacking wheel bearings before first use. Need 2 Bearings per wheel 4 per trailer. will also note a link here that will show a "Servicing Wheel Bearings"
HF CAPACITY 60'' x 96'' trailer 12'' WHEELS AND TIRES NOT a folding trailer. This may be a source for HF maintenance parts. Question: I have a question about Item Number SJ8510-20 (RedTrailer Bearing). Answer: You need the inter and outer bearings plus the grease seal for each hub. Includes bearing 44643 and race 44610.
facilitates communications between individuals only. and help people get information that is based on experience and opinions only. the thread information in no way reflects this forum's legal opinion or advice. Thank you for your understanding of this simple disclaimer and enjoy the T&TTT forum." Last edited by sdtripper2 on Sat Oct 31, 2009 9:56 pm, edited 81 times in total. 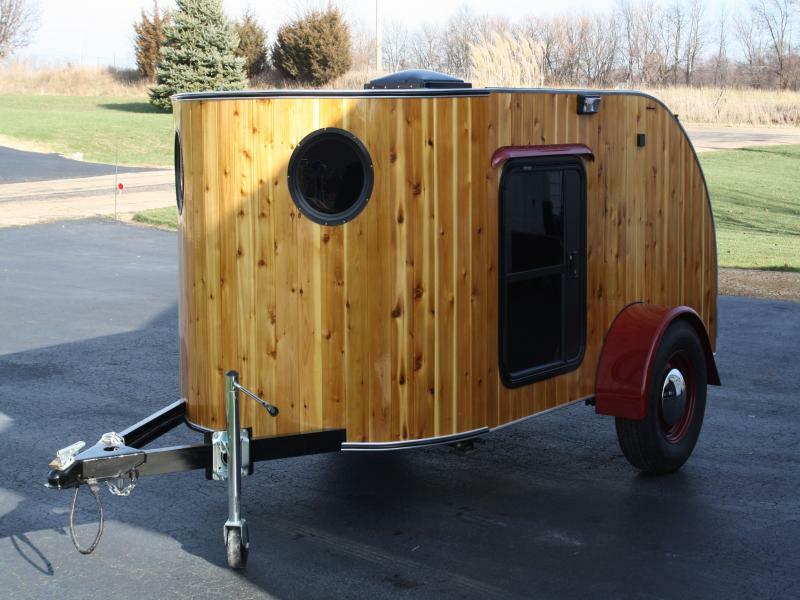 Yes, I want to say thank you too--the teardrop trailer information is the basics of constructing one, and your overview is excellent. Always remember where you left your shoes, as you might have to walk another mile. When I first read the title of this thread - I thought that you were recommending that newbies all build 5 trailers!! I notice that since the new year, the 5x8 landscaping trailer from harbor freight is now 599.99. With respect to the ground, the trailer still pivots around the spindles, the mount is where the load is transfered to the frame. So I would think the measurement should be from the spindle. Geron wrote: Here's a dumb question. You'll need to determine your tongue weight by the mount not the spindle. The weight of the trailer sits on the mount, it sits on the spindle too but it moves the load forward to the mount. To keep your tongue weight the same as it would be with a spring axle you'd want to figure the point your axle center point would be at as the point your torsion axle mount pivot point would be. I hope I eshplaint that right! Well, I got two different answers sos hit warnt do dumb question after all was it. Spindle vs. mount -- I still vote for the mount. that appears to be the fulcrum. I said that before, didn't I.
I've always done my calculations to the center of the wheel. And while it's true that there is a secondary moment around the spindle, the primary moment is around the wheel centerline. Does that muddy up the waters a bit more? Pivot point is still at the spindle with either axle. Need to measure to the middle of the spindle. Okay, I am mixing up terms here. The wheel center and the spindle are one and the same. mikeschn wrote: Okay, I am mixing up terms here. Is the fulcrum the center of the wheel or the center of the Axle tube. So the inset from the back of the trailer 37.5% does that center the Wheel/Spindle (same thing) or does it center the axle tube. Got the sides marked and cut out and am about the build the floor. Gotta Know. I'm still guessing centering on the Axle even though the wheels are offset from the axle. The weight of the trailer rotates around the axle shaft not the Wheel/spindle. Am I thinking straight?